760 Ralph McGill would include two 12-story office towers, a boutique hotel, 200,000sf of retail space, and 700+ residential units. While amidst developing 725 Ponce, New City LLC is fast at work preparing for a second multimillion-dollar development, at 760 Ralph McGill, adjacent the Atlanta Beltline's Eastside Trail. 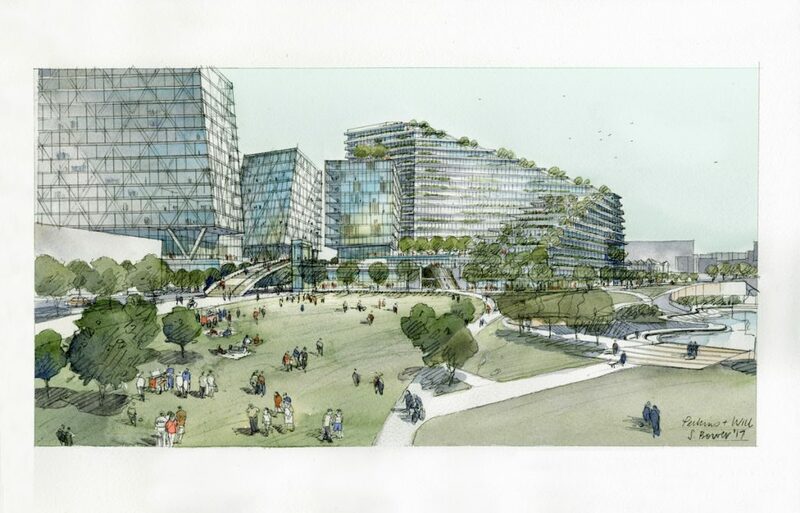 New City President Jim Irwin Thursday evening presented plans for 760 Ralph McGill—a $750,000,000 mixed-use project proposed for a former Georgia Power site adjacent Old Fourth Ward Park—to the Fourth Ward Alliance. Irwin and his team earlier this year acquired the 10-acre site south of the former Masquerade for $34 million which is currently zoned for industrial use. "We will not vote on the zoning change until January," the Fourth Ward Alliance said of the plans ahead of Thursday's meeting. 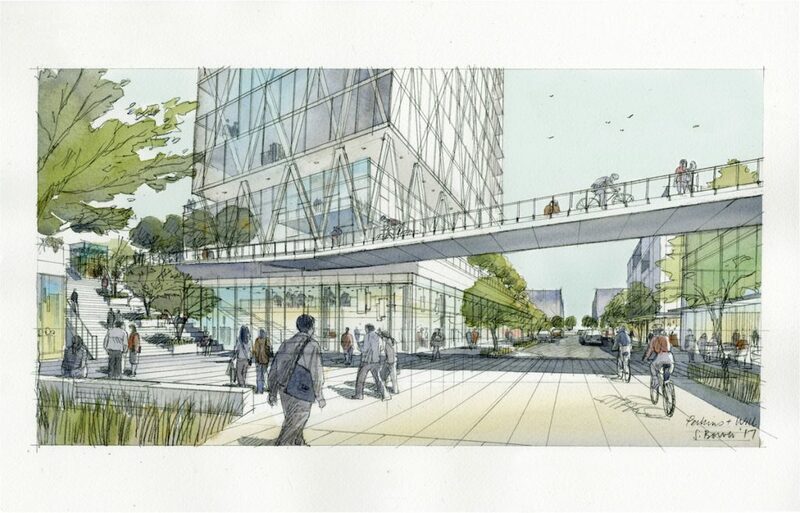 The 2-million-square-foot project would include two 12-story office towers, a boutique hotel, 200,000 square feet of retail space, and 700+ residential units. 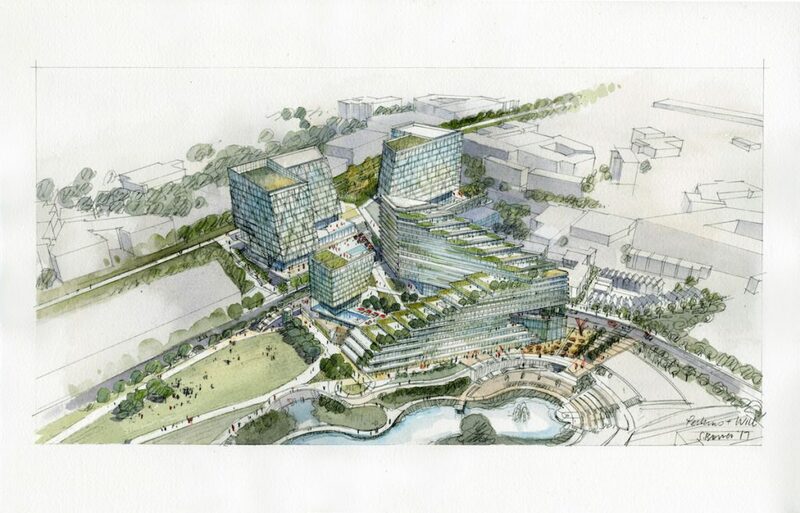 Some of the project's most unique design features would include terracing garden rooftops and a pathway from the development to the Beltline similar to the Canopy Walk at the Atlanta Botanical Garden. 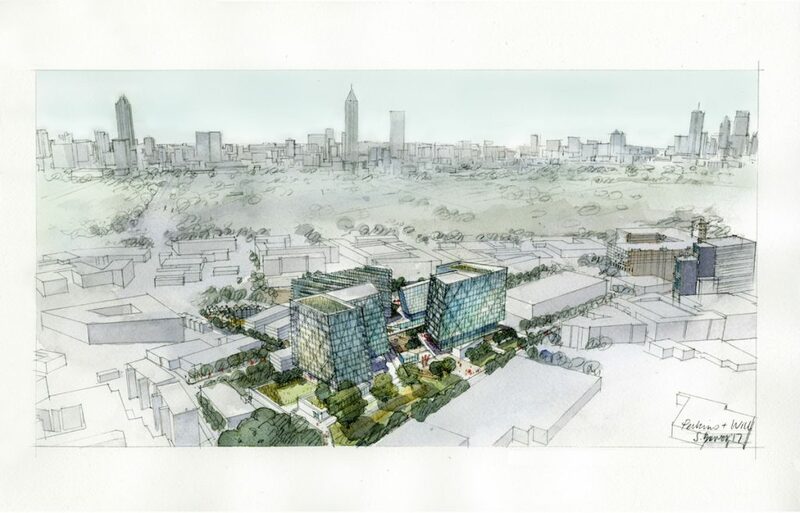 Pending necessary approvals, Irwin expects to break ground on 760 Ralph McGill at the end of 2018.
string(43) "760 Ralph McGill Blvd NE, Atlanta, GA 30312"
wow, The beltline is on fire. It will be interesting what the neighborhood counter proposes.